Favorite Gen 4 Starter Evolution Line? Discussion in 'Pokémon Generation IV Discussion' started by shoz999, Mar 26, 2019. What's your favorite Gen 4 Starter Evolution Line? 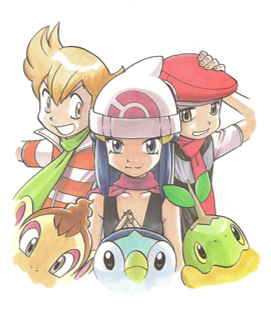 Overall, I think all 9 Sinnoh Starters are really solid. 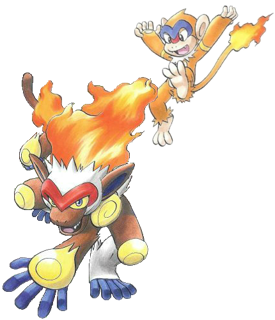 Back when the games came out, I was really big on Torterra but over the years and tons of competitive play, Infernape has become my favorite. Really like all 3 though; they have great unique designs are are able to make breakthroughs of the game diverse (especially in Platinum when they fixed the amount of fire types). Piplup is easily one of my favourite starters. 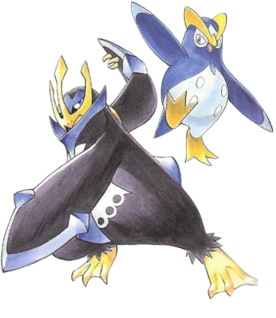 Prinplup is funny and Empoleon just looks so kingly with its unique Water/Steel type combination. What's not to love about the imperial, armored penguin? Leonhart and shoz999 like this. I love all the Gen IV starters; my first games were Diamond and Pearl and they shaped my love for the games completely, and I'm very excited to be playing them once again with my friend over summer. My favourite has to be the Turtwig line, although ironically enough it was the starter I didn't choose in my first playthroughs of either game (had Piplup in Diamond and Chimchar in Pearl, only ever beat Pearl). But still, Torterra is an amazing concept for a Pokemon. A continental tortoise that has an ecosystem living on top of it? Awesome! Plus Paul's in the anime was badass as hell and made to seem like an extremely durable and dangerous Pokemon to battle. I will be using Turtwig in summer to do it justice! 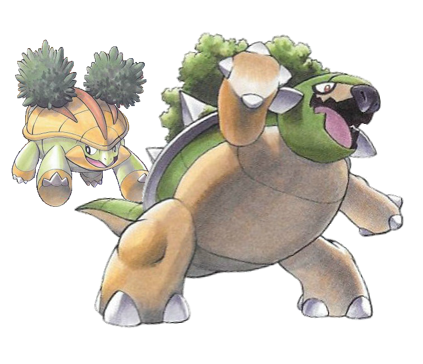 Turtwig, I really like Torterra's design, and it reaches its final stage earlier than the other Sinnoh starters. Piplup is second, as although I like Empoleon's typing and looks, its level-up movepool isn't that good. Chimchar is last, as I don't care for Infernape's design and find it overrated, but then again, Sinnoh doesn't have a good variety of Fire types otherwise. It was basically a tie between Pochama and Hikozaru for me, but my love for penguins won in the end, so I voted for Pochama's evolutionary line as my favorite. It's a tie for me. I like both Turtwig's evolutionary line and Piplup's. 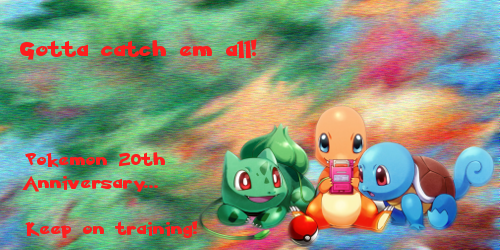 Turtwig's got the vote from me in the end though. I really like the Chimchar line the most! Chimchar, Monferno and Infernape have great designs. My Infernape was definitely my ace during Gen 4. WishIhadaManafi5 and shoz999 like this.